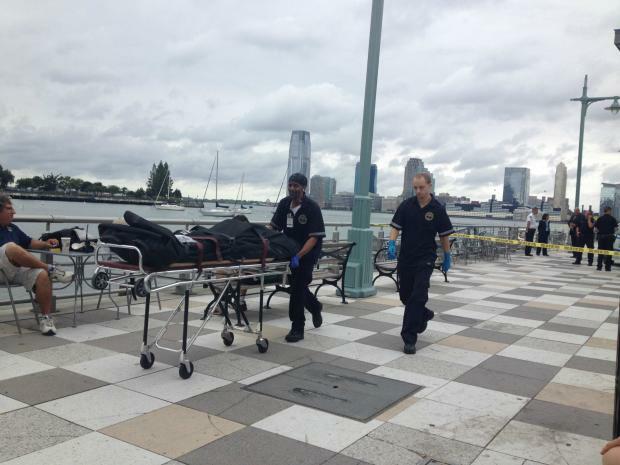 TRIBECA — Police pulled a body from the Hudson River near North Moore Street on Monday morning. The dock master at Pier 25 in TriBeCa, who declined to give his name, said police lifted the body from the water in front of a miniature golf course on the pier shortly before 9 a.m.
Detectives on the scene said the victim was a man in his early 50s. The circumstances surrounding the man’s death were not immediately clear, but police said it was not being treated as suspicious.